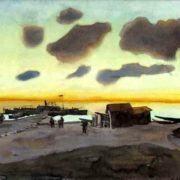 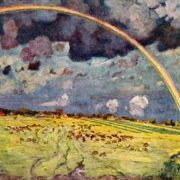 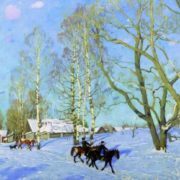 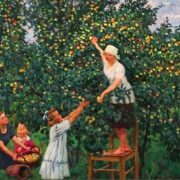 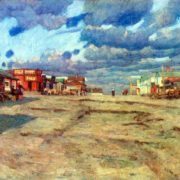 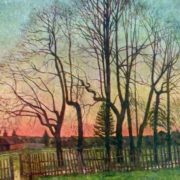 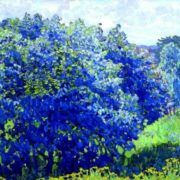 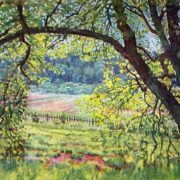 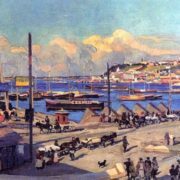 Konstantin Yuon was a Russian painter, landscape master, theater artist, art theorist. 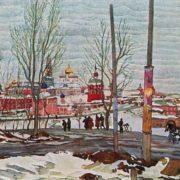 By the way, he was academician of the Academy of Arts of the USSR, People’s Artist of the USSR (1950). 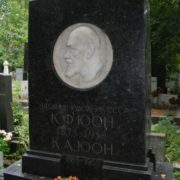 In 1943 Konstantin became a winner of the Stalin Prize. 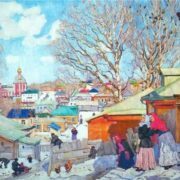 Konstantin Fedorovich Yuon was born on October 24, 1875 in Moscow into a German-speaking Swiss family. 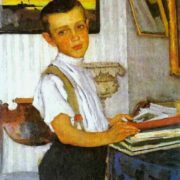 His father was an employee of the insurance company and later became its director, and his mother was an amateur musician. 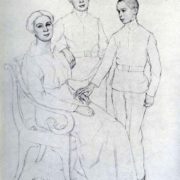 There were four sons in the family. 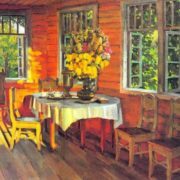 And what is most interesting, all four brothers after marriages had only sons. 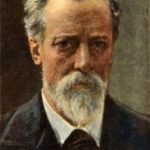 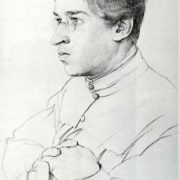 His brother, composer Paul Yuon, a professor at the Berlin Conservatory, stayed in Germany after the revolution. 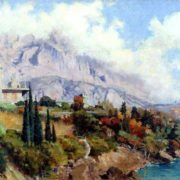 When Adolf Hitler came to power, he emigrated to his historic homeland, to Switzerland, where he died. 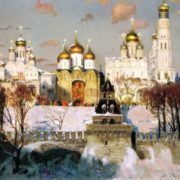 By the way, people called Paul Russian Brahms. 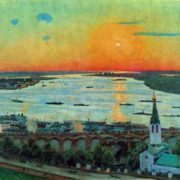 From 1892 to 1898, Konstantin studied at the Moscow School of Painting, Sculpture and Architecture. 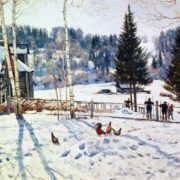 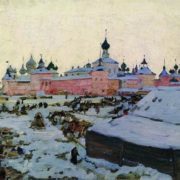 His teachers were great masters Konstantin Savitsky, Abram Arkhipov, Nikolai Kasatkin. 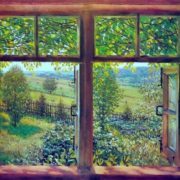 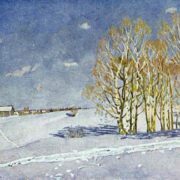 After graduating from school, Yuon worked in the workshop of Valentin Serov for two years. 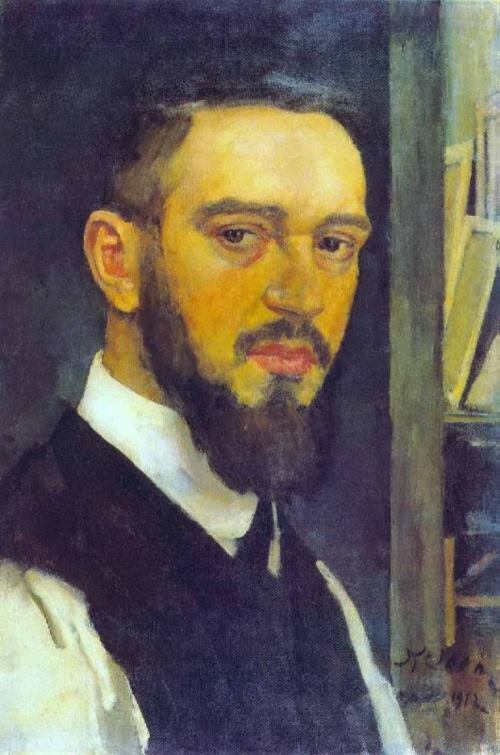 Then he founded his own studio in which he taught from 1900 to 1917 together with Ivan Dudin. 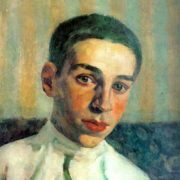 His pupils were Alexander Kuprin, Vladimir Favorsky, Vera Mukhina and many others. 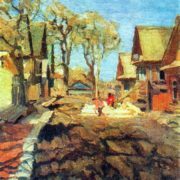 In 1900, Konstantin married peasant Claudia Nikitina Alekseevna (1883-1965) in the village Ligachevo. 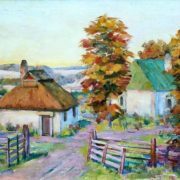 Since then the artist has lived and worked in this village for a long time. 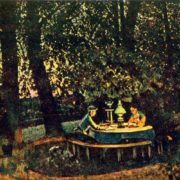 They were happy together. 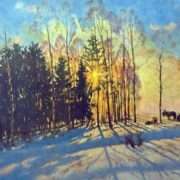 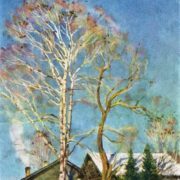 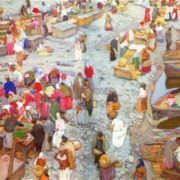 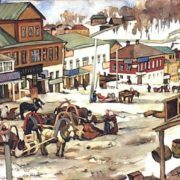 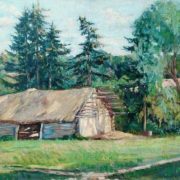 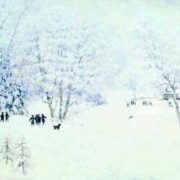 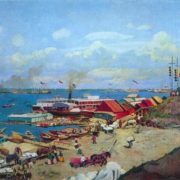 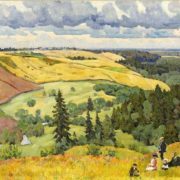 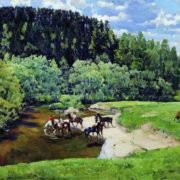 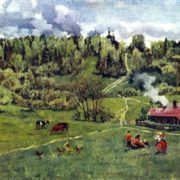 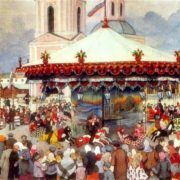 In 1903, Yuon became one of the founders of the Union of Russian Artists. 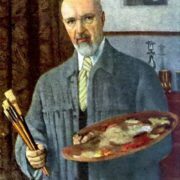 Also he was a member of the World of Art association. 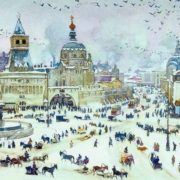 You know, the artist designed the production of the opera Boris Godunov in Paris, as part of the Russian Seasons by Sergei Dyagilev. 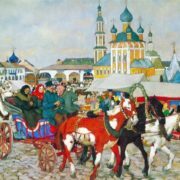 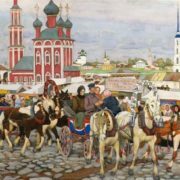 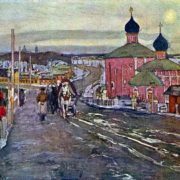 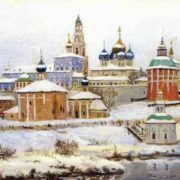 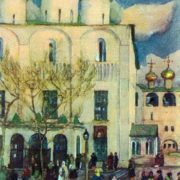 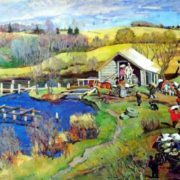 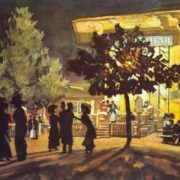 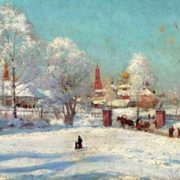 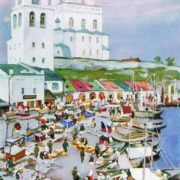 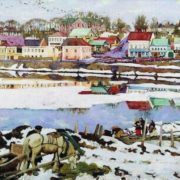 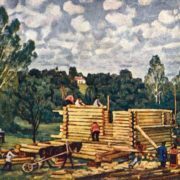 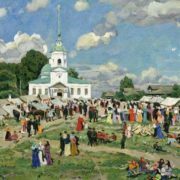 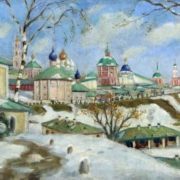 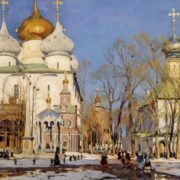 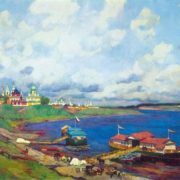 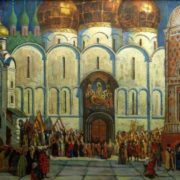 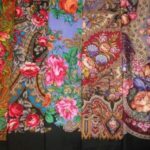 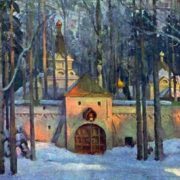 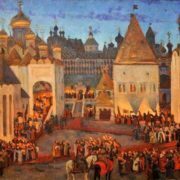 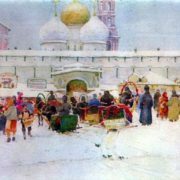 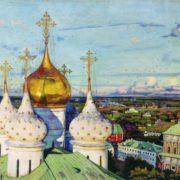 Before the revolution, the main theme of Yuon’s creative work was the landscapes of Russian cities (Moscow, Sergiyev Posad, Nizhny Novgorod and others) with churches, women in folk costumes, and traditional Russian life. 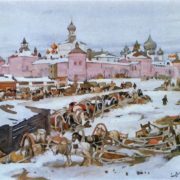 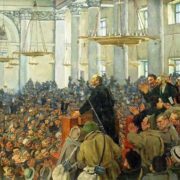 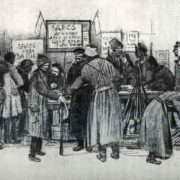 After the revolution, Konstantin stayed in Russia. 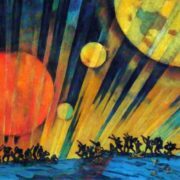 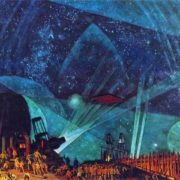 In response to the revolutionary events, Yuon created the picture New Planet, the interpretations of which vary up to the exact opposite. 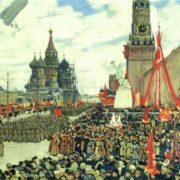 In Soviet times, it was believed that Yuon depicted the “cosmic-creating significance of the Great October Socialist Revolution.” In modern Russia, it was reproduced, in particular, on the cover of Ivan Shmelev’s book The Sun of the Dead, which describes the Red Terror in Crimea. 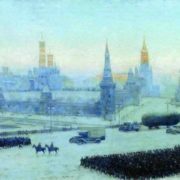 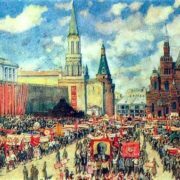 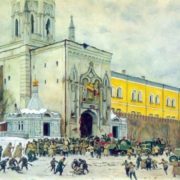 In 1923 he finished the painting Parade of the Red Army. 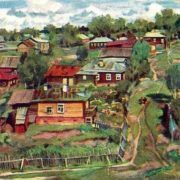 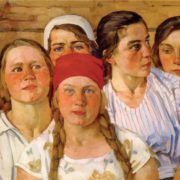 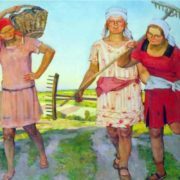 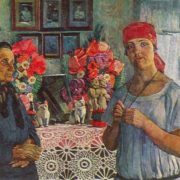 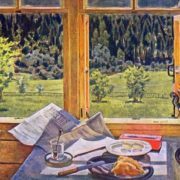 And in 1925, Yuon became a member of the Association of Artists of Revolutionary Russia. 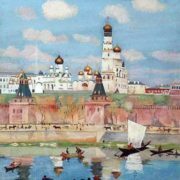 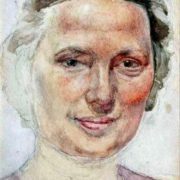 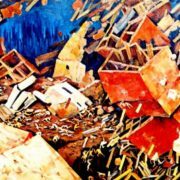 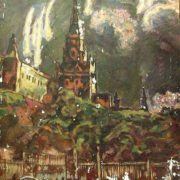 From 1948 to 1950, the artist worked as a director of the Research Institute of Theory and History of Fine Arts of the Academy of Arts of the USSR. 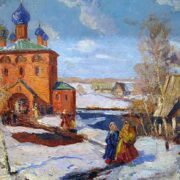 By the way, from 1952 to 1955 he taught at the Moscow Art Institute, as well as in a number of other educational institutions. 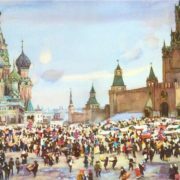 Since 1957, he was the first secretary of the USSR Union of Artists. 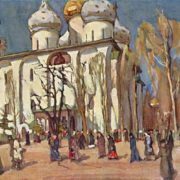 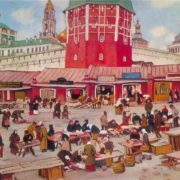 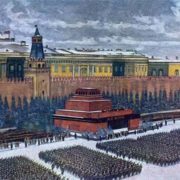 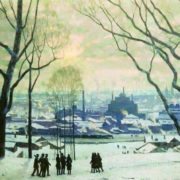 Konstantin Yuon died on April 11, 1958 in Moscow and was buried at the Novodevichy Cemetery.